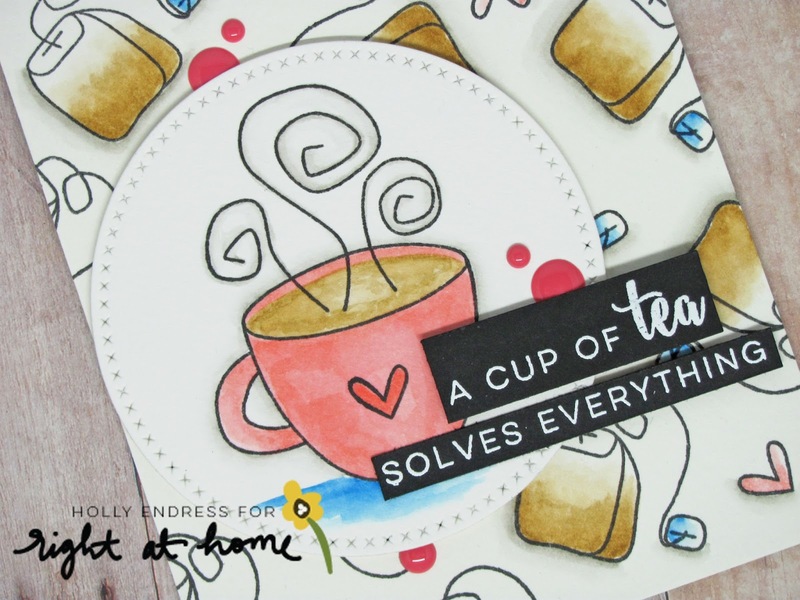 Hollybeary Creations : A Cup of Tea!! I was up on the Right at Home Blog the other day and I forgot to post it here as well. I'm so behind these days, Life just seems to get crazier by the minute! I'm using the new Cup of Joy set and the Fun Sentiment set How have you bean? I started by stamping a few of the images from the set randomly over the background and watercolored them with some Distress Markers. I adhered the background panel to a black top-folding card once it was dry and set it aside. I then stamped the cup and steam image onto another piece of watercolor paper and die cut it with a circle die. I added some more color with Distress Markers. I added some foam adhesive to the back of the circle and adhered it to the front of the card. I stamped the sentiment onto a piece of black card stock and heat embossed it in White. Then I trimmed the sentiment out into strips and added it to the front of the card. I wanted an extra pop of the pink color so I added some enamel dots from my stash. So cute, I really love how these images look in watercolor. Thanks for stopping by today. 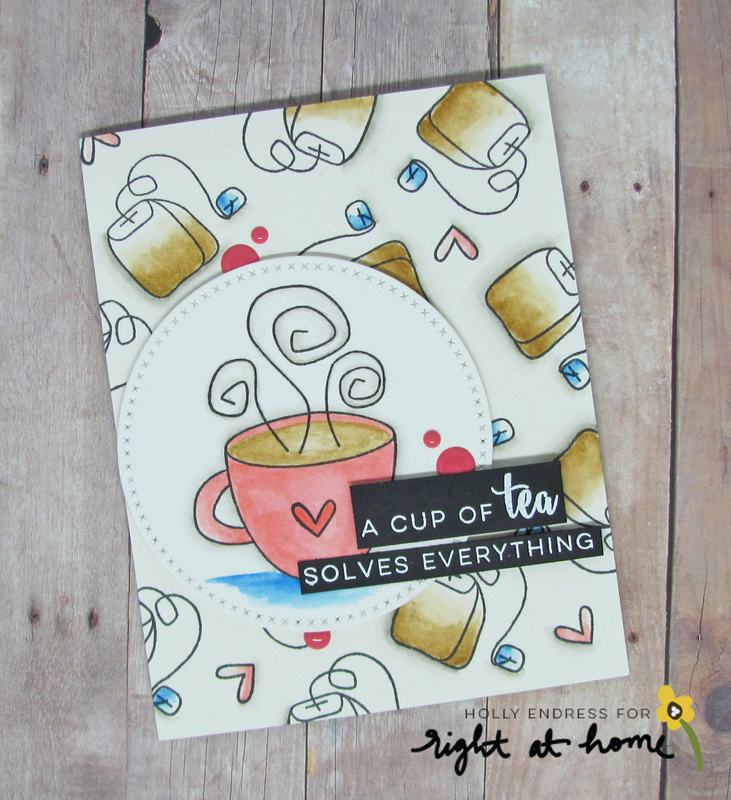 Make sure to head over to the Right at Home store and pick up your sets today! !